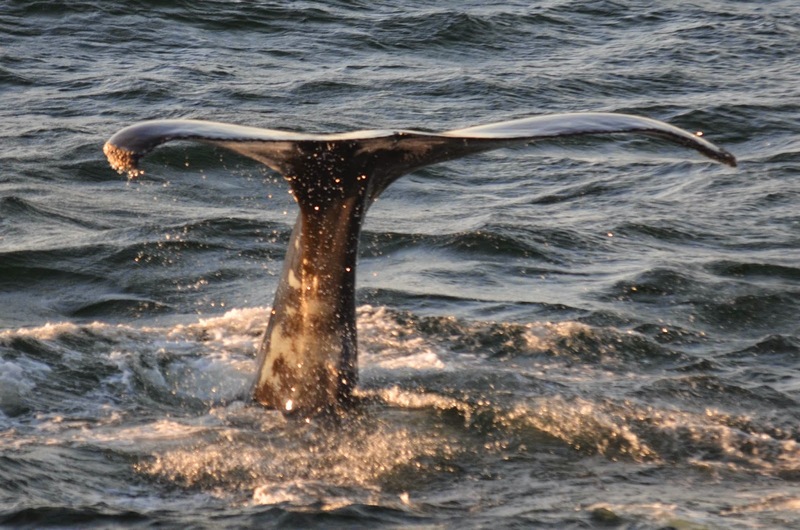 Today on board the Aurora for the 10am whale watch, we traveled towards the southwest corner in search of whales. Before even reaching the bank, we spotted a blow and moved closer. It turned out to be a fast moving finback whale. Next we moved on to another blow that we saw in the area. It was Mogul! This 28 year old humpback was taking 2-4 minute dives and was doing some bubble feeding. We stayed with Mogul for the majority of the trip. 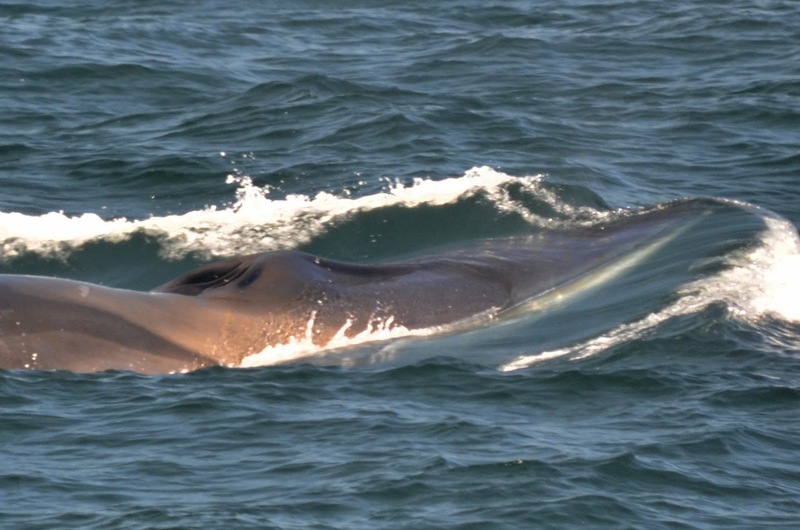 There were at least 5 minke whales spotted during our trip as well. As we were reaching the end of our time out on the water, we spotted another humpback nearby that we wanted to ID, so we left Mogul to investigate. It turned out to be Measles. We stayed with Measles for 3-4 dives then made our turn back towards Boston. On the 3pm whale watch, we went back to the southwest corner. The other boats were reporting that the whales were moving further south and west, more onto the corner of the bank. Just as we crossed the edge of the bank, we found our trusty friend Mogul again. He was taking 2-3 minute dives and doing more bubble feeding. The wind had picked up over the course of the day, so Mogul’s exhalations were getting quickly swept away by the wind. Also, because of the angle of the sun, we were all treated to some “rainblows” from Mogul. See attached photos. 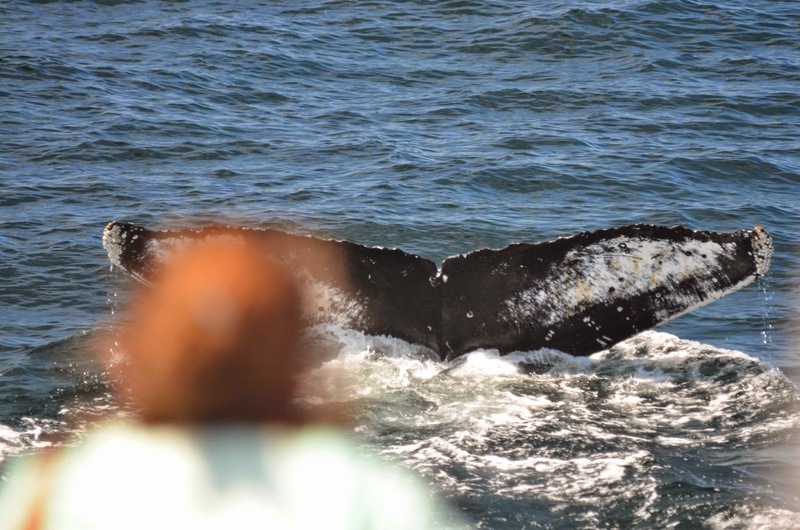 On our 12pm whale watch today, we spent time with Measles who has been hanging around the southwest corner the past few days. As we approached the humpback, she lunged powerfully up out of the water’s surface with a big mouth of fish! Throughout the trip, Measles continued to feed lower in the water column. We had some really fantastic views of Measles who spent a lot of time on the surface. Measles came up right behind the boat at one point giving our guests quite a treat as he/she showed off his/her fluke on a dive! 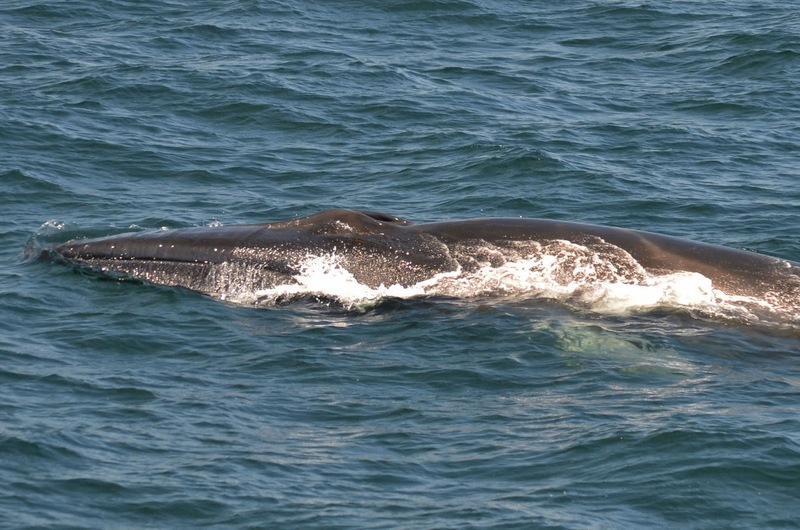 We then spent some time tracking a couple whales in the area including 2 fin whales and ended up getting some amazing looks of a fin whale named Fjord who has also been frequently sighted on our whale watches the past week. Once again on our sunset trip, Measles was a total tease. Measles lunged high up out of the water as we slowly approached but spent the rest of the evening subsurface feeding. 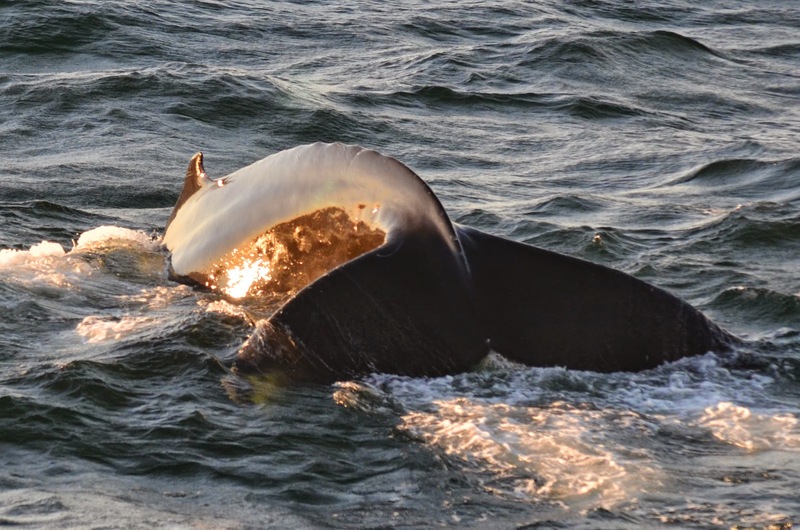 She did, however, spend lots of time on the surface of the water repeatedly making high-fluking dives and showing off her speckled fluke as the orange light of the setting sun glistened off her tail. There were two or three other individuals in the area one of which we visited on our way back to Boston. We spent the last minutes of our whale watch watching mogul the humpback dive as the sunset behind him. 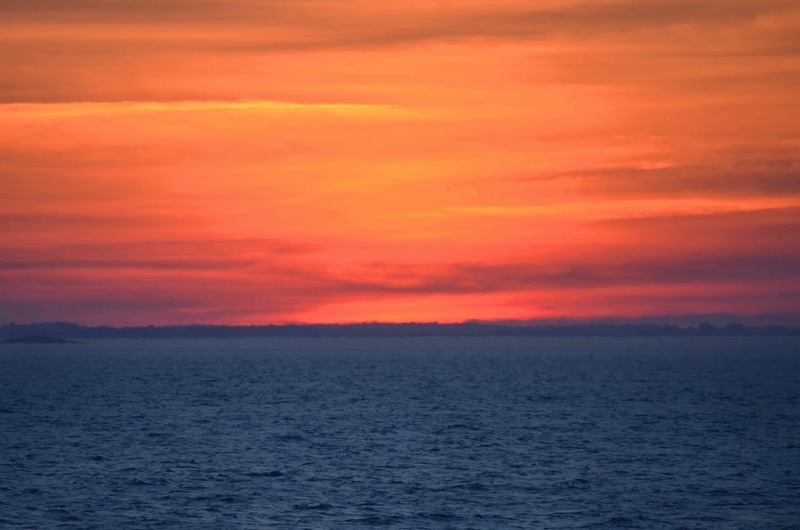 It was a beautiful evening and we had a fantastic group of guests on board!